For most of us, there’s a disconnect between the food we eat and where our food comes from. When we’re grabbing food off the shelves, we’re probably not thinking about the farm it was grown on, the people that harvested it, washed it, or packed it up. We’re trying to figure out what to make, how to get dinner on the table, and if we remembered to put everything on our list. 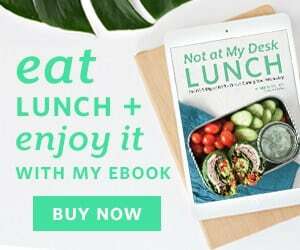 When I started to learn more about healthy eating, I also started to learn more about where food comes from and it constantly surprises and educates me. From the bad things (like factory farming) to just facts of where and how food is grown, I have cultivated a deep respect for food. People are working hard to put food on other people’s tables, and whenever I can, I want to share that. In August I got invited to a fig farm tour put on by Valley Fig Growers in Fresno. 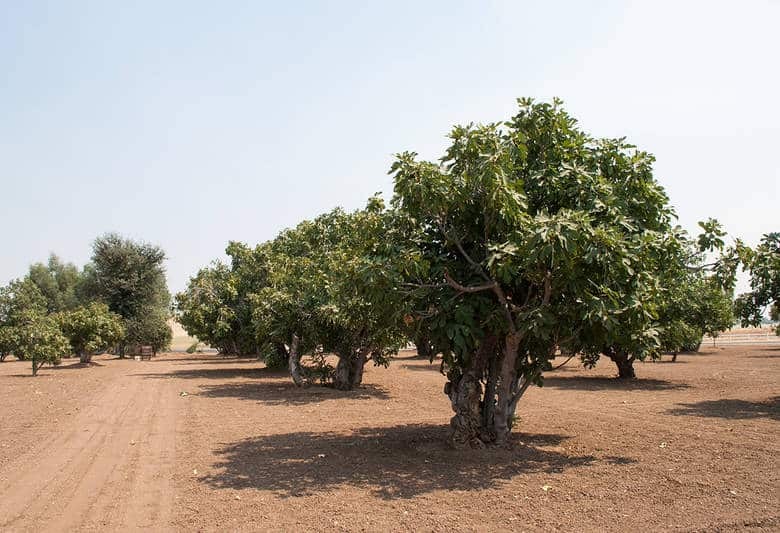 Valley Fig is a grower-owned cooperative that is based in the central valley in California and represents 40% of the California fig industry. 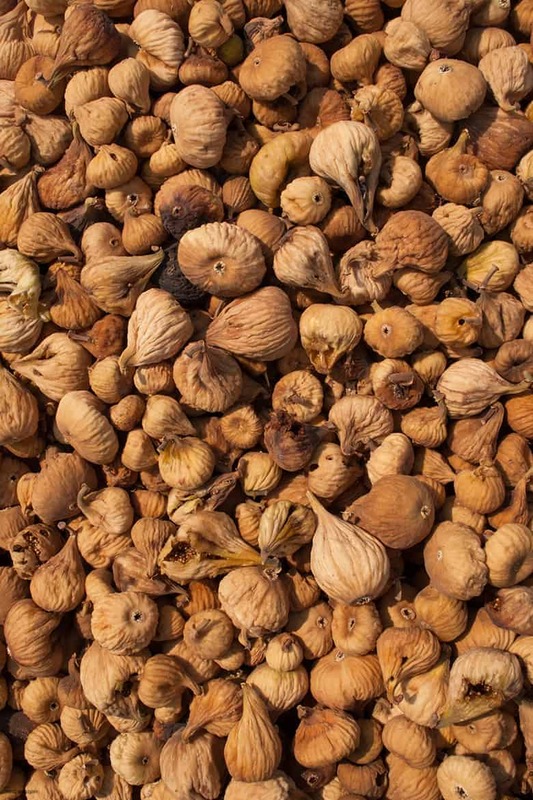 They focus on dried figs, which are a lot more accessible for the rest of the country than fresh figs. 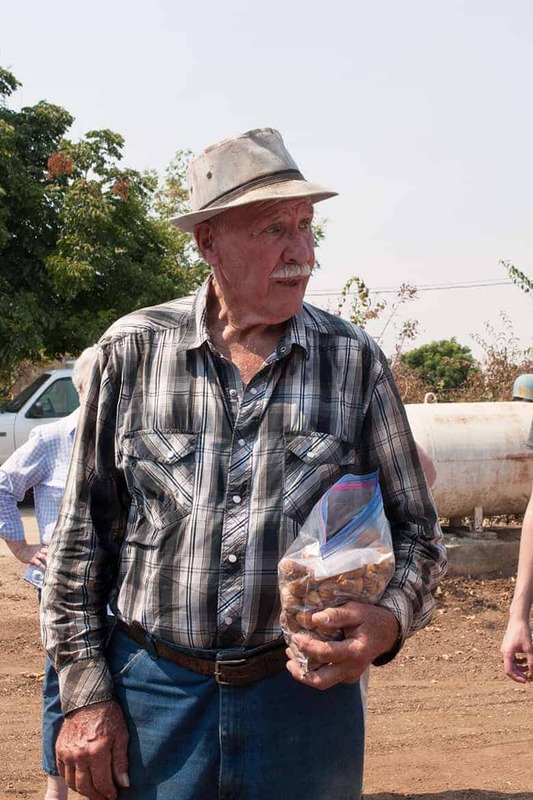 We went to a small farm in Clovis (next to Fresno) and went to a small, second generation farm run by Ken Bushman and his family. Ken and his wife are in their 70s to 80s and are still working their 20 acre farm. Ken’s farm has one kind of fig tree, the Calimyrna variety. This is a golden color and is sweet but not as sweet as the black mission fig. On their farm, they hand harvest the figs. They wait for the figs to drop to the ground, then Ken’s family pick them up off the ground and load them into trays to be wash and sorted later. When the figs fall to the ground, they are dried and don’t look like fresh figs you see at the market. They can be rehydrated to be fresh. 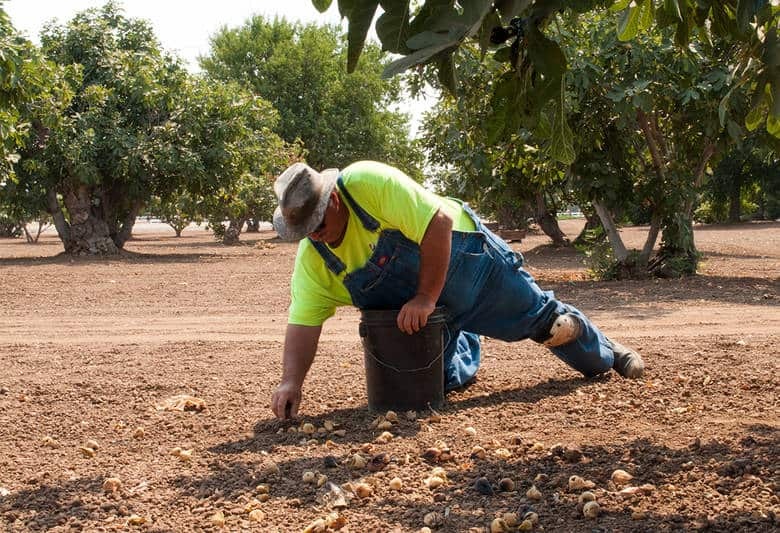 On larger fig farms, figs can be harvested by hand or with a machine that scoops them off the ground. Fig trees last a long time. The fig trees on Ken’s farm were planted in 1904 and didn’t look like they were stopping any time soon. They do need to be pruned to keep them open and promote fig production. Figs are native to dry areas like Iran, Turkey and Greece, so they don’t require as much water as other produce in the valley. Valley Fig Growers farmers don’t spray their trees, but are not certified organic, except for their fig jam. Valley Fig Growers grow and sell a few varieties of figs, from Calimrynas to golden figs to black missions in a variety of sizes. In addition to selling dried figs as is, they also make organic fig spreads, three of which are flavored with other spices or fruits that make the fig jam sing. After the fig tour, I came away with a greater knowledge of figs, and also a greater appreciation for figs. 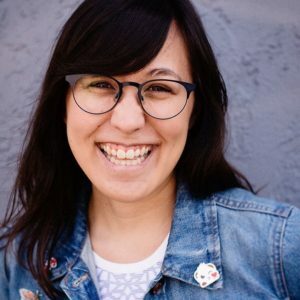 They’re a lot more versatile than I had really made space for, and I haven’t really pushed the boundaries on what a fig could do in sweet and savory applications. Figs can be more than just for baked goods. I decided to try figs in a savory way, by making Sriracha Fig Hot Wings. I’ve never been really into hot wings, but ever since I got hooked on the YouTube show Hot Ones a few weeks ago, I’ve been curious about making them and adding in some heat. Nice thing about hot wings, they’re pretty straight forward to make in a real food paradigm and for certain dietary needs. These wings are baked rather than fried and no breading is needed. The wing sauce just uses the Valley Fig Growers Organic Mission Spread, sriracha (which you can clean versions of) and some spices. All pretty simple and friendly for lots of people. You can up the heat in this wing sauce, the ratio of sriracha to fig jam that I went with isn’t weak, but doesn’t burn your mouth off. If you want more heat, go for it. If you have a different kind of hot sauce in your kitchen, try that too. I would probably not use one that already have sweet notes in it (some hot sauces already have fruit in it to be more balanced) because it will be much too sweet. If you’re new to wings like I am, I suggest buying the full wing from your butcher counter and cutting it yourself. You can buy drumettes as well, but they can cost a little more and you’ll only get one kind of wing. And, if you buy the wings, you also will have wing tips left for bone broth or stock. The Cookful has a great visual for how to cut chicken wings, too. 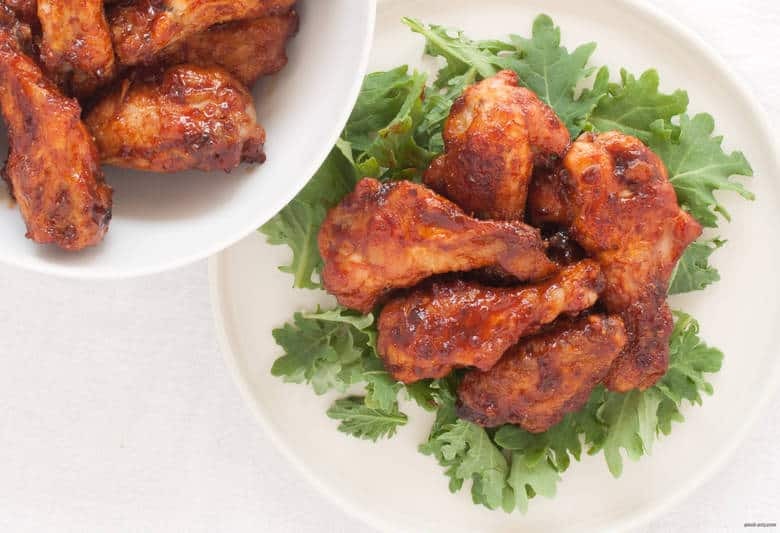 You can enjoy these wings by themselves, double or triple this recipe for a party, or eat them on top of a salad or with a side of baked sweet potato fries. Disclosure: I was given product from Valley Fig to try and enjoy. All opinions are my own. Preheat oven to 400. Rub chosen fat on the inside of a baking sheet. 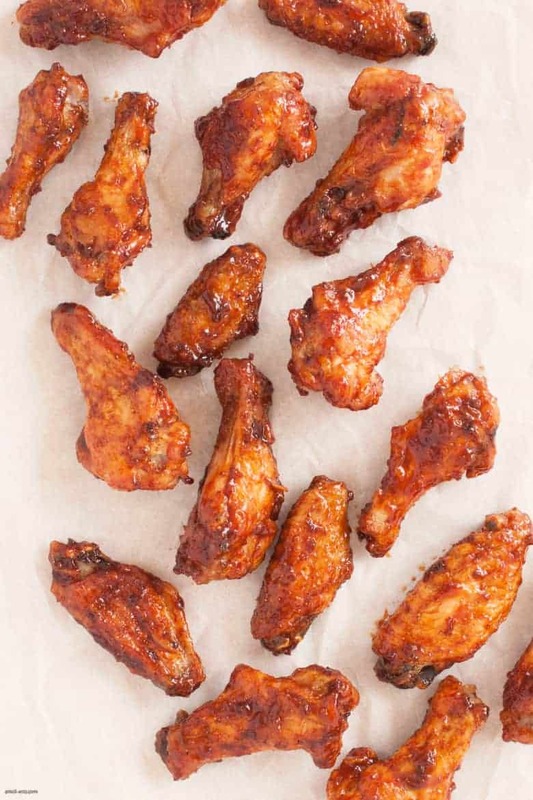 Arrange wings in a single layer, bone side up on the baking sheet. Make sure they are not touching. Lightly sprinkle half of spices evenly over all of the wings on one side. Bake for 20 minutes. Flip wings, sprinkle the other side with spices and bake for another 20 minutes. 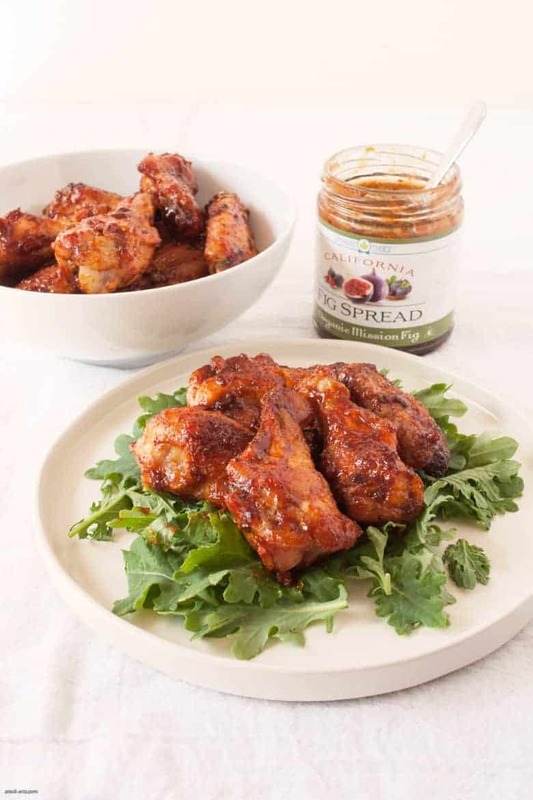 While wings are cooking, combine fig jam and sriracha into a small saucepan over medium heat. Whisk to combine and bring to a boil. Add cayenne, salt and pepper to taste. If the sauce is too thick, or is ready before your wings and thickens up, add in a tablespoon or two of water and whisk in. When the wings are done, put them in a large mixing bowl and add in the wing sauce. With a spoon, mix the wings and sauce together until throughly combined. Serve immediately or store in an airtight container.